Conversations about the African telecommunications landscape today should focus on two major factors: connectivity, and purchasing power. With a rapidly growing population expected to reach 2.5 billion by midcentury, the African continent remains one of the most unconnected places on Earth, with pockets of 4G around relatively well-developed cities floating in a sea of backward backhaul networks and 2G connectivity on good days. The demand — and indeed the genuine need — for connectivity for the 1 billion people living in Africa is undeniable, and, as such, there should be demand raining down from the sky when we see new High Throughput Satellite (HTS) payloads launched over this region. However, purchasing power, the second part of this equation, remains a stumbling block. There may be a real need for connectivity, but can we make a business case out of it? Taking data from Northern Sky Research’s (NSR) “Global Satellite Capacity Supply & Demand, 12th Edition,” we will discuss the potential for new markets to develop should new HTS systems drive down prices sufficiently, before looking at the potential impact of Low Earth Orbit (LEO) HTS, before taking a brief moment to examine the traditional Fixed Satellite Services (FSS) market of Africa — the C-band and Ku-band birds that carry thousands of channels of Direct-to-Home (DTH) content to the millions of TV households across the region. The market for Geostationary Earth Orbit (GEO) HTS capacity in Africa continues to be one that is characterized by customization, diversified product offerings, and, consequently reasonably high leasing revenues per Gbps due to the presence of turnkey solutions that command higher per bit prices. 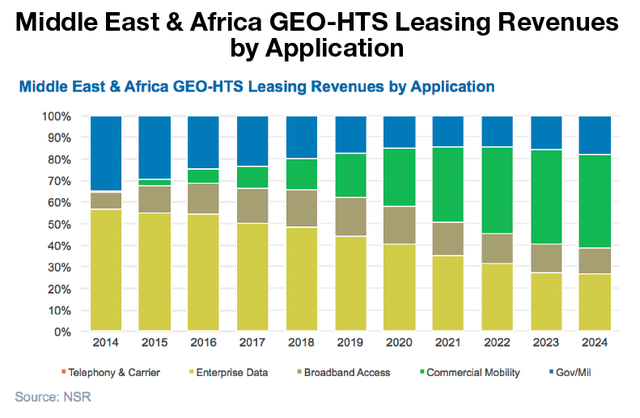 Of all regions globally, the HTS market in Sub-Saharan Africa will be one of the least dependent on broadband access, not only from a revenue standpoint, which is to be expected, but also from a raw capacity leased standpoint. This is due to a number of factors, but greatest among them is the fact that the African region in general still lacks sufficient Average Revenue per User (ARPU) to justify a concentrated consumer broadband via satellite play to enter market. 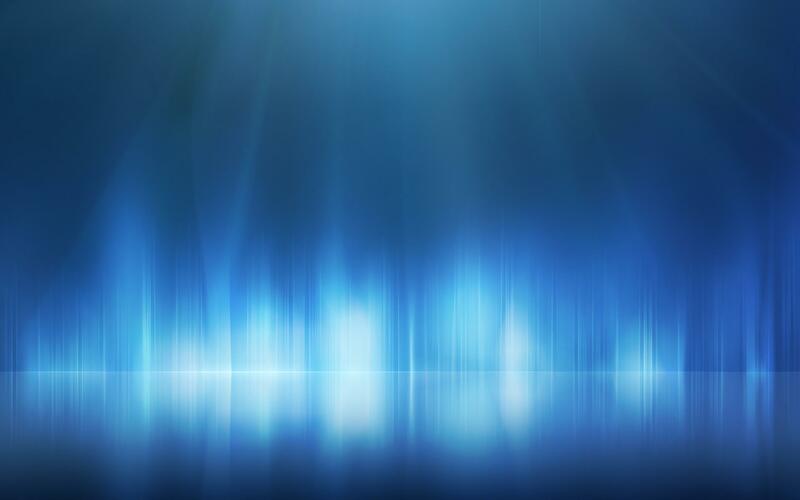 As such, the majority of demand will come from more “enterprise data” type applications such as Very Small Aperture Terminal (VSAT) networking, trunking, backhaul, etc. Indeed, as figure 1 shows, broadband access will only account for around 20 percent of new demand in terms of raw Gbps, which is significant less than the majority of regions. For example, globally broadband access is forecast to account for more than 80 percent of new HTS bandwidth demand to 2024. The end result here is that the vast majority of HTS revenues will come from non-broadband applications, with less than 15 percent of GEO HTS revenues by 2024 coming from broadband in the region. 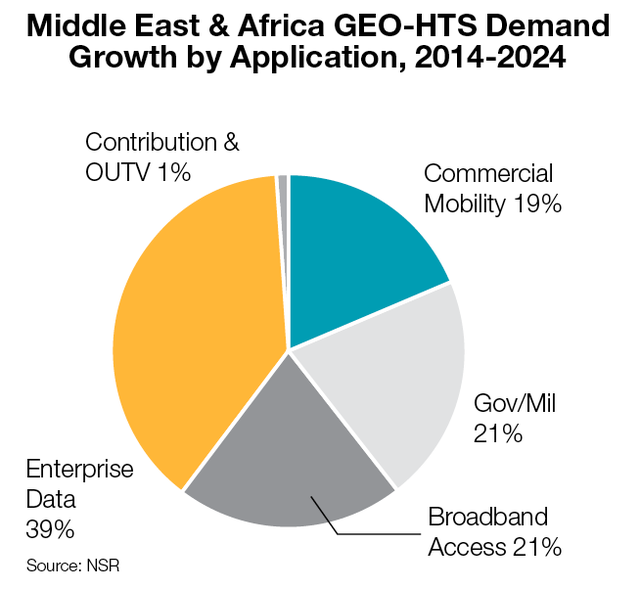 The majority of GEO-HTS bandwidth demand in Middle East and Africa (MEA) by 2024 will come from enterprise data. Many African countries today are characterized by a 4G network in their capital city, with a very low-tech 2G network throughout the rest of the country. For example, cities such as Addis Ababa — one of the continent’s largest and fastest-developing urban centers — can boast a 4G network from EthioTelecom, but has no 3G backup in the city and very limited 3G/4G coverage throughout the rest of the country. With more than a billion cellphones and a growing percentage of smartphones in the region, we expect significant demand for general “data,” such as backhaul. 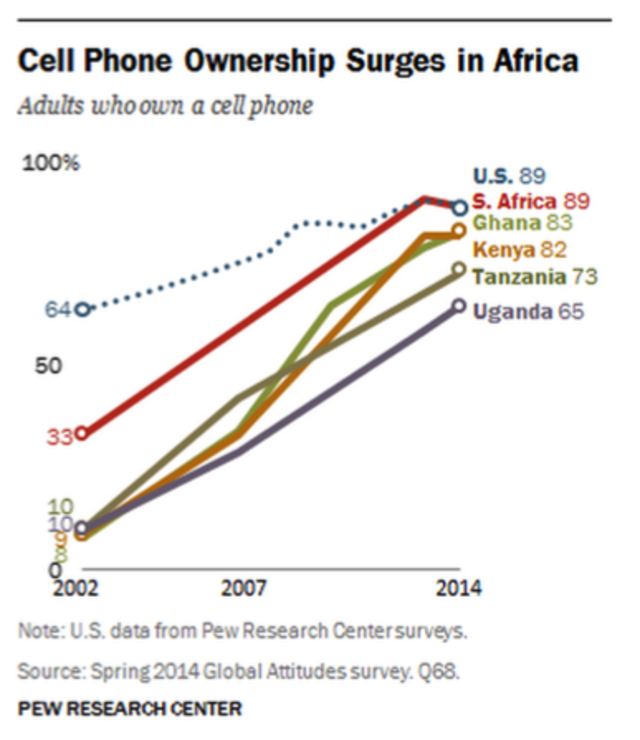 Cellphone penetration in Africa today is around 83 percent, but smartphone penetration is at only around 20 percent, and ultimately, by 2024, NSR expects around 40 Gbps of GEO HTS demand to come from enterprise data. 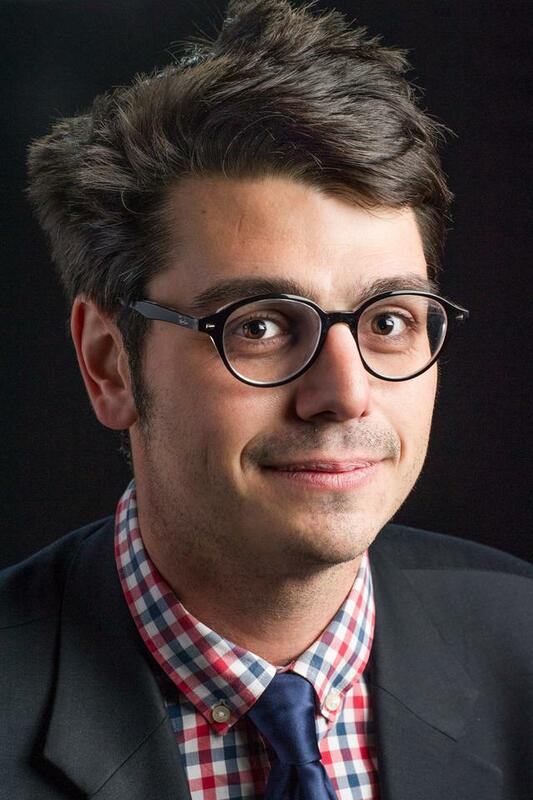 Beyond this, commercial mobility, which, despite comprising a somewhat smaller percentage of bandwidth demand, will nonetheless correspond to by far the largest revenue increase of any application in the region, with revenues increasing from under $1 million in 2014 to more than $250 million in 2024, with the majority of demand coming from In-Flight Connectivity (IFC) and maritime demand throughout the region. 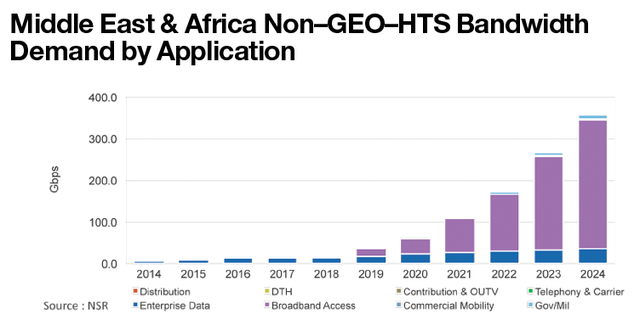 All said, GEO HTS revenues in Sub-Saharan Africa by 2024 will exceed $500 million, with the majority of revenues coming from high-value applications. As figure 3 shows, in every year from 2014 through 2024, the single largest contributor is either enterprise data or commercial mobility, with the latter starting to take the largest market share around 2021. Broadband, given the relatively small addressable market at current price points, and relatively lower revenue per bit as compared to applications like commercial mobility or government/military, will see its share of total revenues hover around 10 percent, with total revenues from consumer broadband in MEA expected to reach around $70 million by 2024. 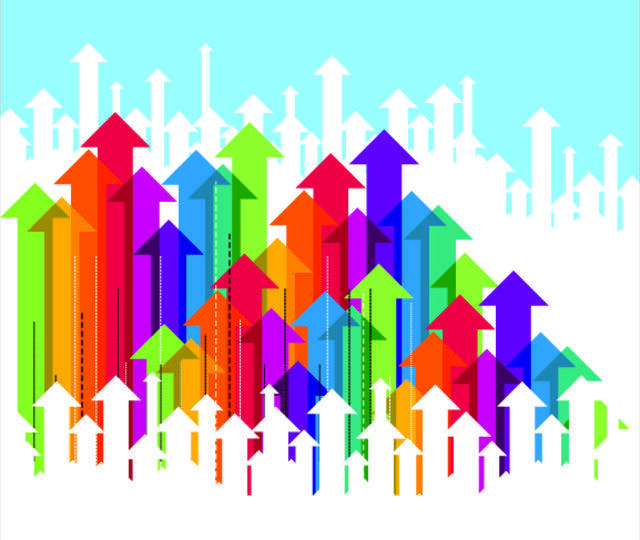 The LEO-HTS Play — How Much Does Lower Pricing Boost Demand? 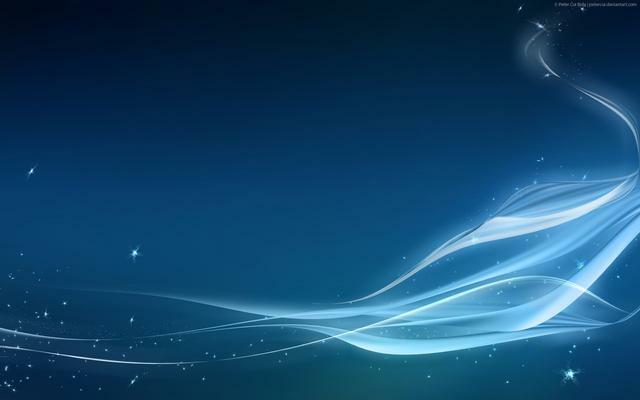 NSR expects a LEO HTS constellation to enter the picture around 2018-2019, with a “high-volume, low-margin” business model focusing on huge amounts of bandwidth being put into orbit for consumer broadband and, depending on definitional interpretations, enterprise data. Ultimately, a LEO HTS constellation entering the market will boost non GEO HTS demand — which includes demand from O3b Networks as well — to top 350 Gbps by 2024, with the majority, or around 300 Gbps, coming from low-cost consumer broadband offerings from a LEO HTS constellation. O3b is likewise expected to see a solid market develop in the enterprise data vertical, which will be nearly 35 Gbps by 2024, coming from niche — but high-cost — applications such as oil and gas, and trunking. Ultimately, the non GEO HTS market in the Middle East and Africa will face pricing challenges, with limited disposable income and small ARPUs requiring either real and sustained economic growth, or a dramatic reduction in costs, to create demand. With all the talk about HTS aside, Africa in general has been proven to be a hugely fertile market for a variety of applications using traditional FSS capacity, with the last year seeing announcements by both Eutelsat and Intelsat for major capacity deals with MultiChoice, with the latter deal being for the entire Ku-band payload on Intelsat 36, expected to launch in late 2016. 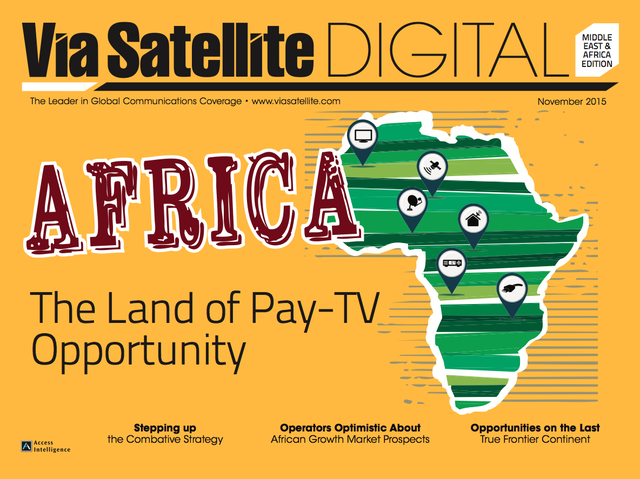 MultiChoice aside, there are a number of other opportunities in the media markets, with players such as SES finding solid success with StarTimes, for example. Such niche markets — with StarTimes, for instance, being funded by Chinese money as a way to increase soft power in Africa — can provide unexpected opportunities for operators with solid capacity over the regions — and by extension entire world — fastest growing markets. 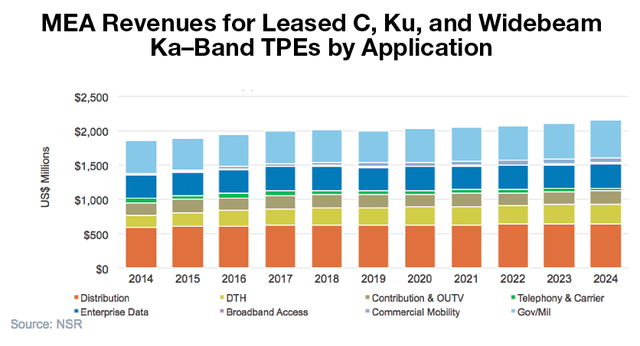 All things considered, Middle East and Africa will see revenue growth of around 1.5 percent annually for traditional FSS C-band, Ku-band, and Ka-band Transponder Equivalents (TPEs), with the majority of growth being driven by video markets, as shown in figure 5. The Middle East and Africa has been a relatively early adopter of HTS technology, starting with the Ka-band payload on Arabsat 5C in 2011. The payload was leased entirely by KACST and through their partnership with ViaSat is being used to provide broadband access in Saudi Arabia. 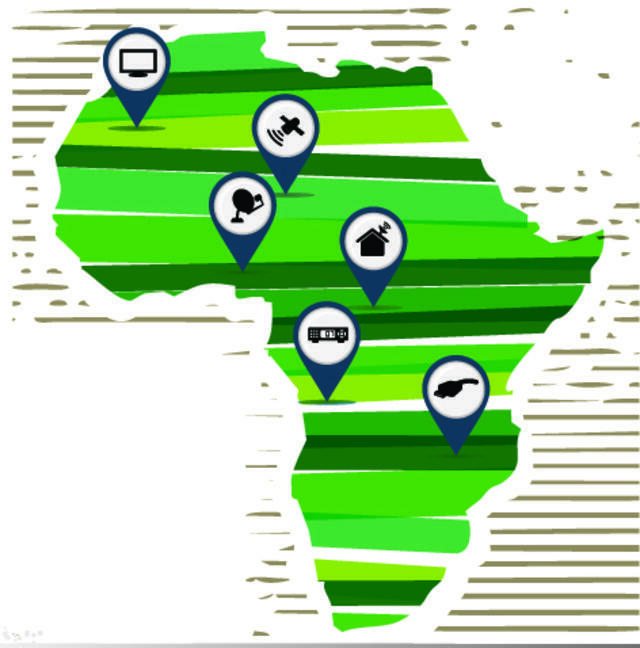 The next big jump came with Yahsat and Avanti, both of which targeted not just the Middle East but select African countries going after small businesses that needed connectivity beyond the big cities. Yahsat adopted a relatively “closed” approach with their YahClick service offering while Avanti’s model was relatively more “open” selling capacity to telcos and service providers in Africa. So far, HTS payloads have ranged between 2 Gbps and 20 Gbps in throughput, with coverage over specific countries, indicating that the business case for a region-wide large capacity satellite is still a few years away from being profitable. Even those companies that have launched HTS for MEA either had anchor tenants (Arabsat, Yahsat) or European coverage (Eutelsat, Avanti, Telenor) that balanced the risks associated with selling satellite broadband in a challenging environment. Future projects are a little more ambitious given the success that Arabsat, Yahsat and Avanti have enjoyed as early movers in the market. Bigger payloads in the 10 Gbps to 40 Gbps range are expected and new entrants like Spacecom will have their own approach to capturing market share, which will keep competition healthy. Along with the regional payloads, global operators (Intelsat, SES and Inmarsat) will add to the HTS coverage across bands. Intelsat 33e will have both C- and Ku-band HTS while Intelsat 35e will have an additional C-band HTS payload. SES 12, while primarily having Asian coverage, will have Ku-band HTS beams covering a few countries in MEA. Overall, NSR expects that the Middle East and Africa region will scale up to approximately 300 Gbps of GEO HTS supply by 2024 across C-, Ku- and Ka-band. This translates into a staggering growth figure of about 7 times today’s GEO HTS supply available. Bottom line, the Middle East and Africa remains one of the least connected regions on the planet and, moving forward, will also play host to the strongest population growth of any region worldwide. These two factors will undeniably lead to a need for better and more connectivity, with existing fiber prices unrealistically high for the majority of the population. As such, should GEO, Medium Earth Orbit (MEO), and LEO HTS systems dramatically bring down the cost of bandwidth in a region so starved for connectivity, they will unquestionably encounter a market. 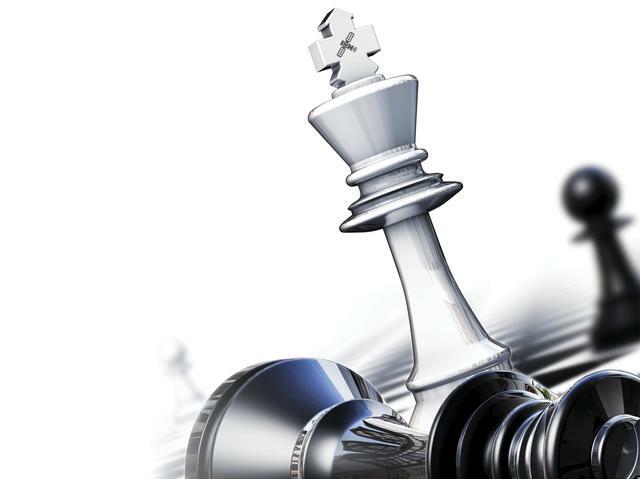 However, low purchasing power and uncertain ARPU levels may limit the practicality of the business case behind this demand, which will likely pose challenges moving forward. Blaine Curciois a senior analyst with NSR. His areas of coverage include general FSS market tendencies, development of HTS, and a focus on emerging markets, in particular East Asia. 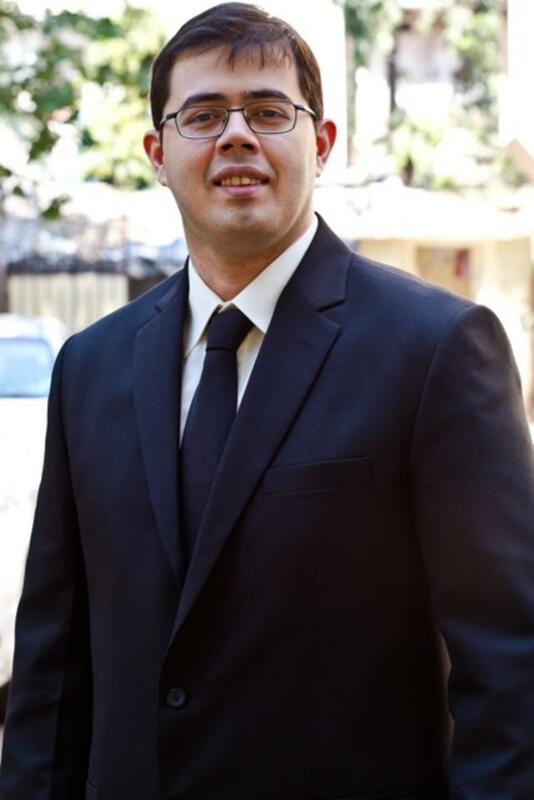 Prashant Butan is a senior analyst with NSR. His areas of expertise include satellite capacity supply and demand, DTH, satellite manufacturing, satellite launch and emerging media applications.